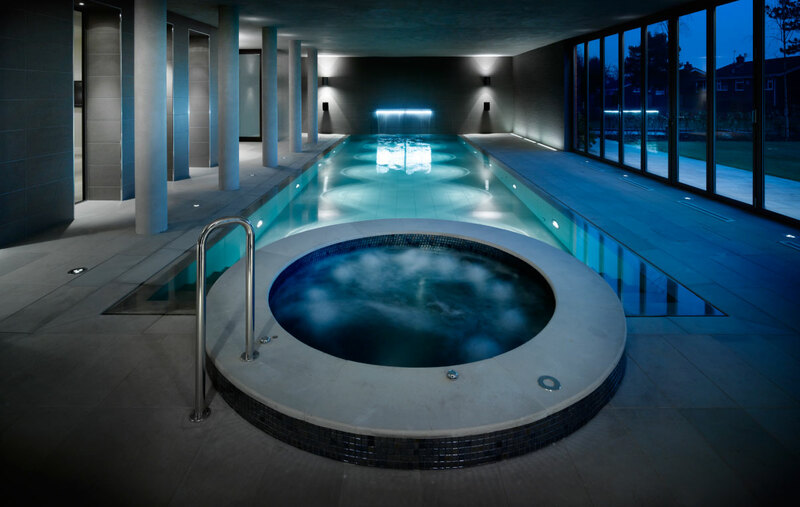 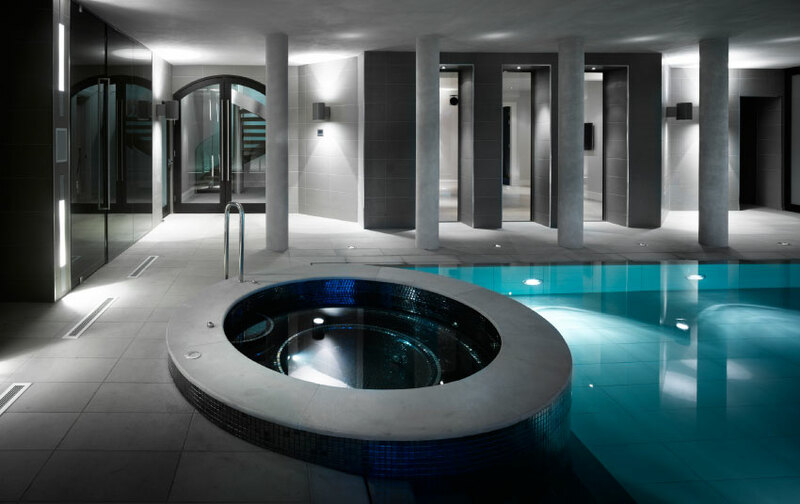 This private spa was a project for a new private pool and wet leisure facility [inc sauna, steam and gymnasium] at basement level of a family home in England. 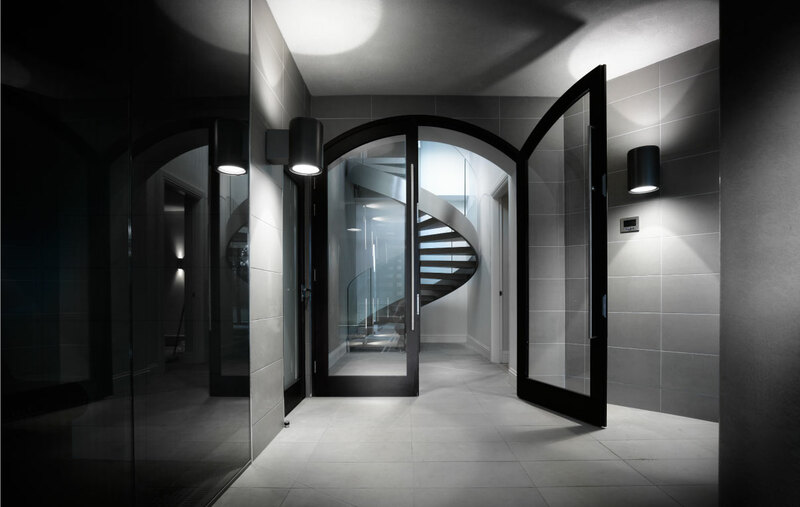 Central to the design of the space was the acceptance and enhancement of the subterranean nature of the hall. 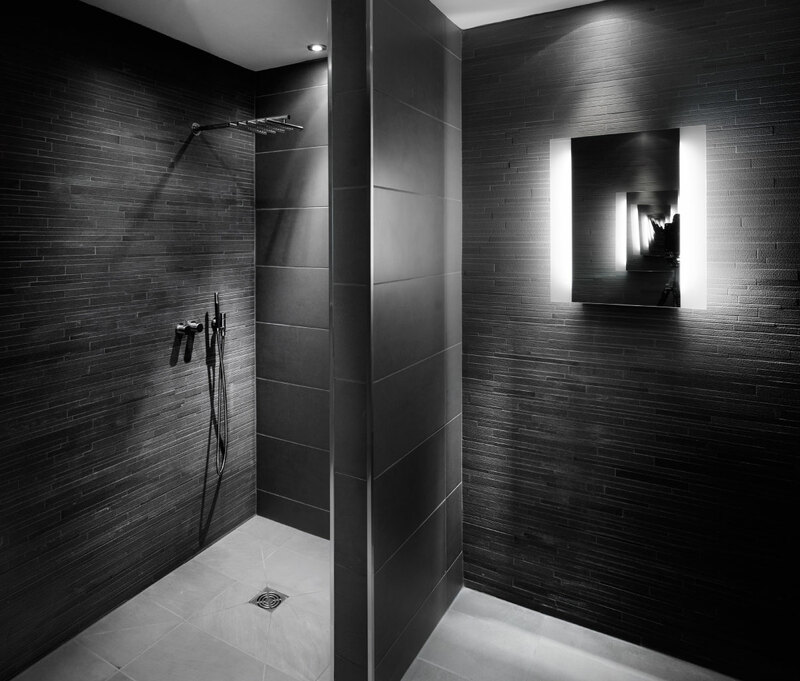 A restrained palette of materials and bottom up mood lighting was utilised to further enhance the cave like experience of the space.